The Lomo SMB 3 is an egg-shaped surface marker buoy which comes with an additional flag to help alert swimmers and boat users that divers are in the area. It is commonly used when diving or snorkelling in waters where there can be a lot of people and boat users around. Our SMB 3 is approximately 100cm around and stands about 35cm in height above the water line. It is red and white in colour. 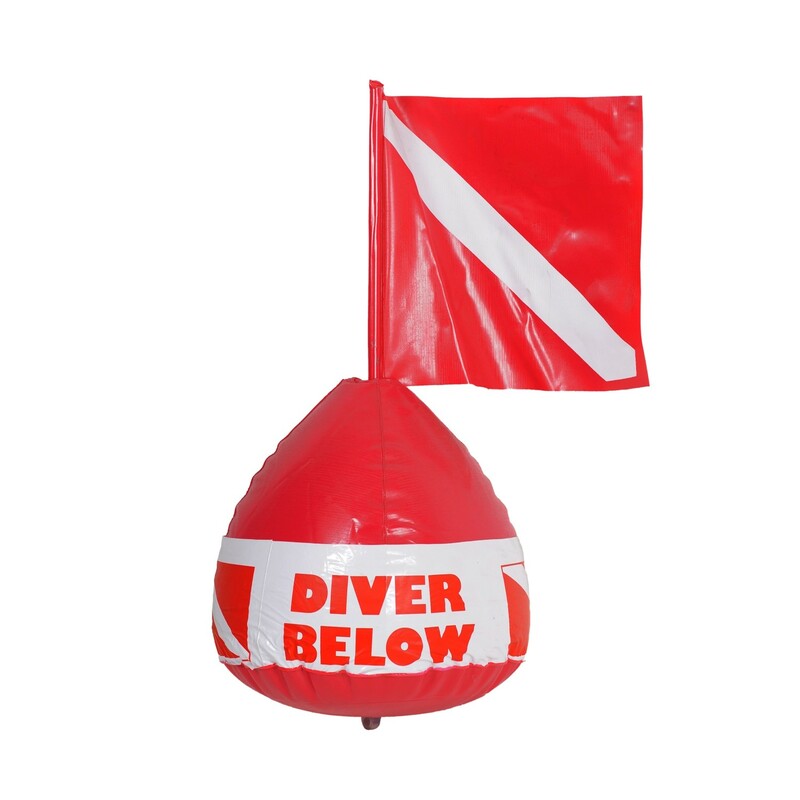 The message and flag represent the warning "DIVER BELOW". It is worth noting that this is not a delayed surface marker buoy so SMB 3 must be inflated and used on the surface.